Although Indian by descent, Mr Goenka was born and raised in Burma. 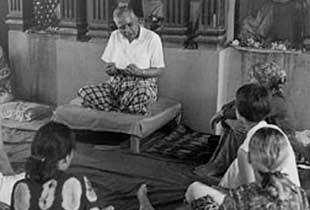 While living in Burma he had the good fortune to come into contact with Sayagyi U Ba Khin, and to learn the technique of Vipassana from him. 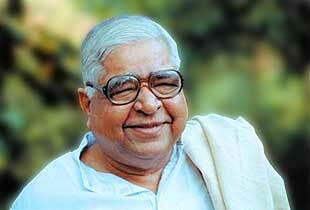 ​After receiving training from his teacher for fourteen years, Mr Goenka settled in India and began teaching Vipassana in 1969. In a country still sharply divided by differences of caste and religion, the courses offered by Mr Goenka have attracted thousands of people from every part of society. In addition, many people from countries around the world have come to join courses in Vipassana meditation. Over a period of almost 45 years, Mr. Goenka and the teachers appointed by him taught hundreds of thousands of people in courses in India and other countries, East and West. Today, meditation centers established under his guidance are operating in Asia, Europe, the Americas, Africa and Australia. awards and honors in his lifetime, including the prestigious Padma Bhushan Award from the President of India in 2012.
given by the Indian Government.